An Amazing Cafe By The Sea Which One Cannot Miss! The wind by the sea and good food, this cafe makes Pondy Vibes more full filling. 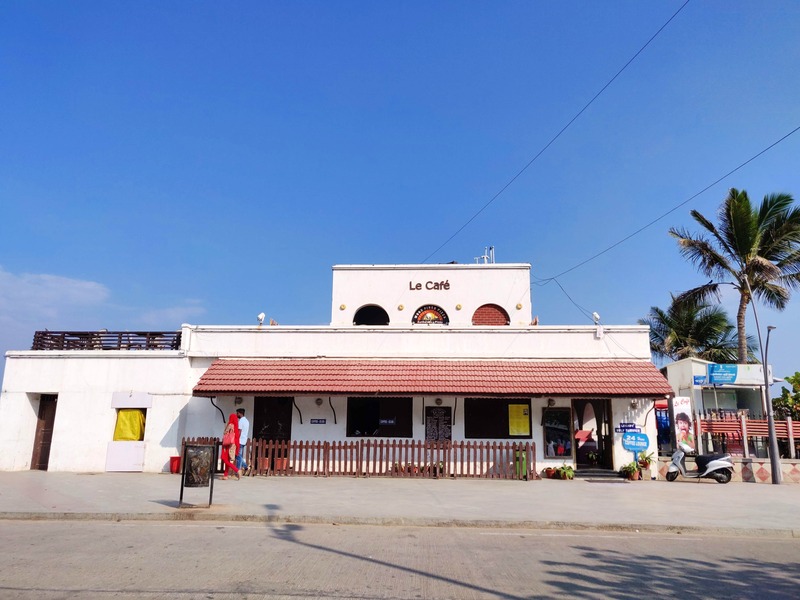 Le Cafe, literally meaning " The Cafe" in French is actually the only cafe one has to tick once in Puducherry. Situated in the heart, just by the rocks of Promenade Beach ( beside Mahatma Gandhi statue), this place is all things classy yet basic. It's a small pretty two-storeyed space. There are mainly outdoor setting with panoramic views of the blue Bay of Bengal. There's fish foot spa which you can opt for when looking for some relaxation. The tiny play area is ideal when travelling with kids for their environment. If you are looking for tokens of Pondicherry for your loved ones, this cafe has that solution too. A corner is facilitated with a merchandise outlet which sells fridge magnets, incense sticks, mugs, scented candles and t-shirts. Known for their authentic pizzas, we would suggest trying any and all food you can because they are yummy, fresh and most importantly affordable. The burger served with fries and the ice cream are our top suggestions. Come with friends or family, relax and have a good meal is the promise of this cafe, and you wouldn't be let down. It's a crowded place, so bring in lots of patience with you. Also, there's self service, just a word of caution if you are looking for a great hospitable food serving.